Nashua, NH-Ruth E. Tamulonis, 57, passed away Wednesday, January 16, 2019. She was born April 25, 1961 in Nashua, NH. She was a daughter of the late John T. and Elizabeth R. (Barry) Tamulonis. 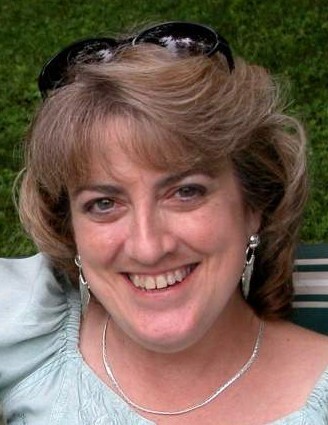 She was a 1979 graduate of Nashua High School and Rivier College. She leaves a sister Judith Penkofski of Nashua, NH; a brother John "Tammy" Tamulonis and his wife Deborah "Fuzzi" Basler of Eugene, OR; a niece Cheryl (Penkofski) Forsyth and her husband Todd and their daughters Felicia and Emma, three nephews, Jeremy Penkofski and Tory Wilson and their son Maxwell, Sean Basler and his wife Beth, and Kai Tamulonis; also aunts, cousins and many friends. When I think of Ruth I think of her as a big person...not in the physical way, but in her presence. She never did anything half way. She was compassionate, trustworthy, and loyal to a fault. When she loved she loved with all her heart, and when she was disappointed, she let you know that too. Ruth had a heart bigger than Texas. She loved people, and had a multitude of friends..among them were the animal kind. Even though she shared her home with kitties, you might also find her feeding a couple of porch visitors from time to time. She was an avid lover of nature, and a serious tree hugger. Music was a big part of her life as well, and in addition to playing the piano she had an eclectic love of many styles...when visiting I would often find her listening to Enya or The Moody Blues (which she saw in concert at least four times). She loved history, antiquing, and enjoying a good meal or a High Tea...And then there was her flower garden filled with the scent of wisteria, and dahlias..Not to mention how she appreciated how a texture felt, or how a blouse color matched a pair of earrings, or the way the morning light glowed through an iridescent goblet on the table. She saw the beauty in the biggest, and in the tiniest of things. She appreciated life more than most people I know, and for the most part she lived it her way. One of her most cherished experiences was her trip to England. The excitement of seeing so many antiques Anyone who knew her well knew how much she loved the Royals. In fact it is because of this that she was often called Lady Ruth by her friends...............Ruth was one of a kind. Probably one of the most difficult thing about loving Lady Ruth was the pure fact that we all had so much competition. Her career started at the age of 18 when she went to work in the Linen Department of Nashua Memorial Hospital ( now known as Southern New Hampshire Hospital) and worked there as a supervisor until she took another position at Riviera College as an Administrative Assistant, after which she was employed by The State of New Hampshire where she was employed as an employment counselor. She was always proud of her positions, and what she could contribute to helping others.